Today my review is about hair care. Though, I don't fancy colouring my hair because of the chemicals used in hair colours, I don't mind using herbal solutions to the problem. Henna, I hear is good but winters but I have never ventured in that territory as I find it too time-consuming and messy. So, the solution was to use a henna based shampoo (which I have reviewed here). Sadly, it will not cover the greys in one or two usage. Also, the shampoo was a little drying for my hair. So, was looking for some deep conditioning options to combine with the henna shampoo. Then my eyes fell on this hair pack while browing through online beauty stores. 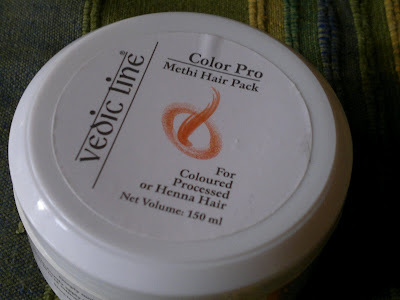 It said "Perfect treat for colored, chemically processed and henna hair". Without much thinking I ordered this ASAP (see my haul here). 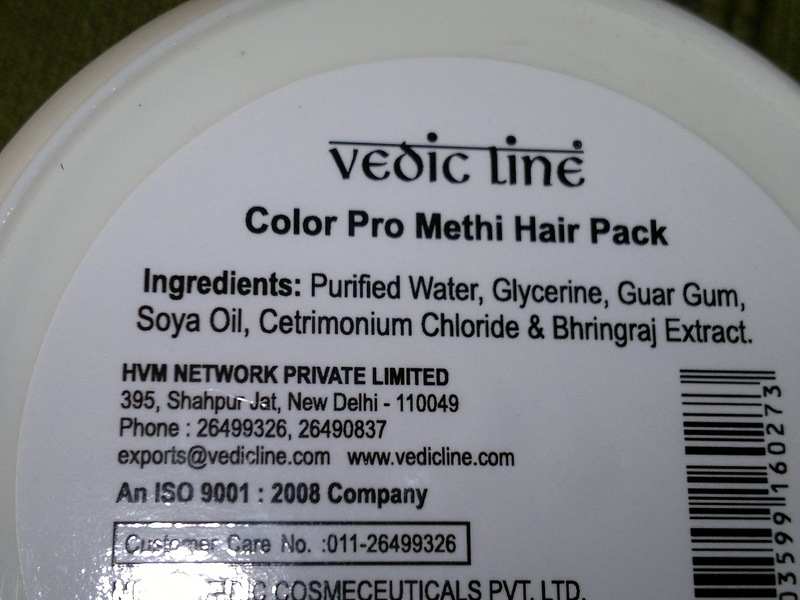 The pack retails for INR 200 (I got it for INR 180 from Urbantouch) for 150 ml of the product. 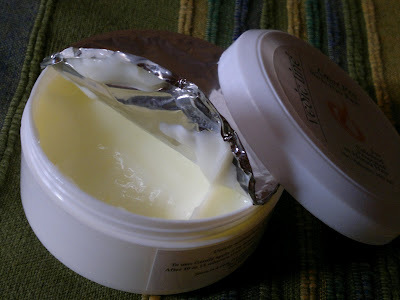 The pack comes in a tub packaging with a aluminium seal which you have to remove to open the product. The pack is light yellow in colour with a light cream like consistency. Also, the smell of the pack is mildly medicinal, though nothing too bothersome for me. 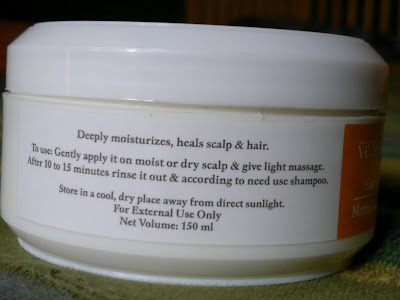 The directions on the pack tell you to apply the pack gently to either wet or dry hair and massage lightly. After this you can leave the pack for 15 minutes before washing off with water or shampoo as desired. So, this weekend, I used this hair pack. Left the pack on for 15 minutes and washed it off with the Biotique Henna Leaf Shampoo. The pack washed off pretty easily. I have clicked both before and after pics. As you can see from the pics, the pack has made tremendous difference to my hair. 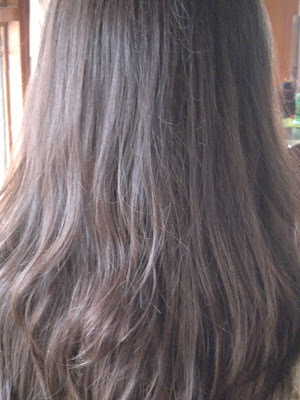 My hair colour is now more vibrant, and my hair is silky soft. I happy to have found a completely natural remedy for saving my hair from the harsh chemical treatments. The whole process took less than half an hour, and I can do this every weekend. All in all a very good deep conditioning pack for your hair. Product rating: A, available on most online shopping websites. I would be buying this product again and would recommend this to people who colour their hair on a regular basis or have very dry hair. Thanks Lancy. 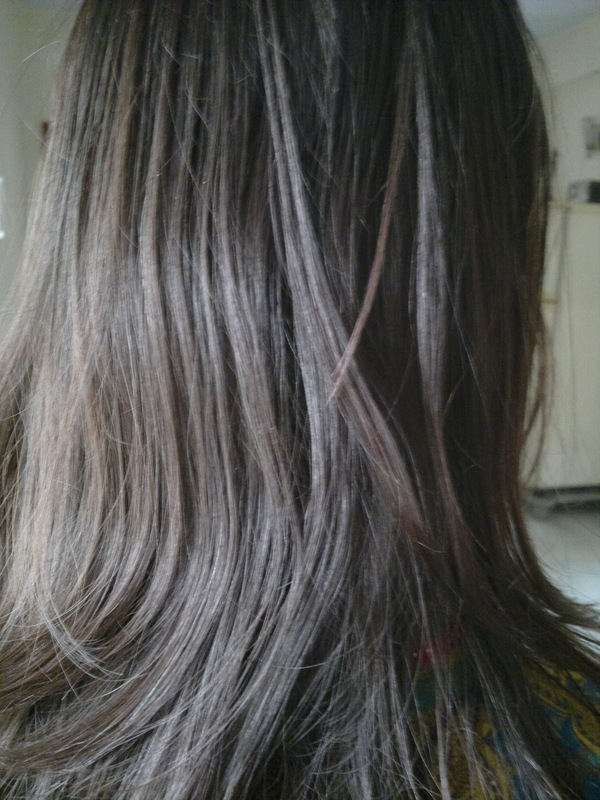 Do you also use a hair pack?